~Jo's Scrap Shack~: Cardz TV Go-to-Galz Linky Party Challenge #9 "Winter Wonderland"
Cardz TV Go-to-Galz Linky Party Challenge #9 "Winter Wonderland"
It has been awhile since I've been able to join in with my design team sisters at Cardz TV and I'm so glad that I was able to create with them this week for our "Winter Wonderland" challenge! The Linky Party Go-To Galz have come up with a really fun challenge this week, and I can't wait for you to see what they've created using Cardz TV Stamps! 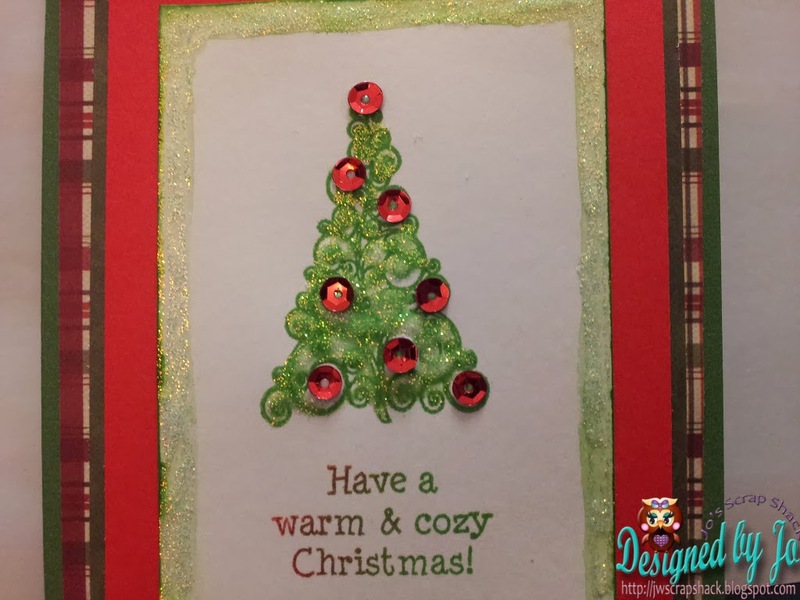 Create a card, layout or craft with a Winter scene. You have until noon EST, Thursday, December 19th, to post your name and a link to your creation, using Inlinkz below. Many of you have asked, and no, you don't have to use Cardz TV Stamps to enter! We do ask that your entries be new projects...no backlinks please. The Linky Party Challenge winner, picked by random.org, will receive a set of Cardz TV Stamps! I stamped the sentiment using Holiday red ink by CTMH and with some new leaf ink again by papertrey ink. To finish off the card, I used a waterbrush and some new leaf ink and inked up around the edges of my main layer. Once that dried, I added some more stickles for some more shine and glisten. 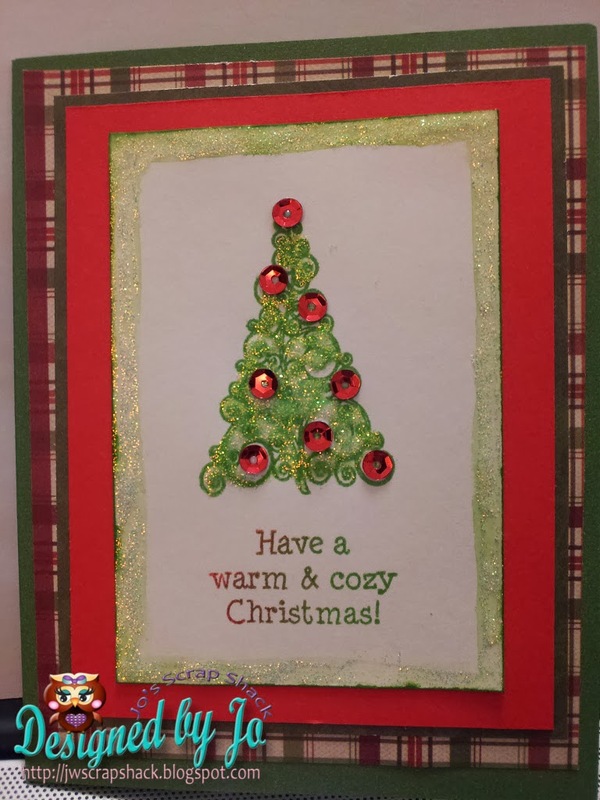 I was going to add snowflakes to the back of this layer but because the card is already white, I wanted it to look like snow already, kind of like the tree was just sitting on a white coating of snow. Well my friends, that is my card for you today. 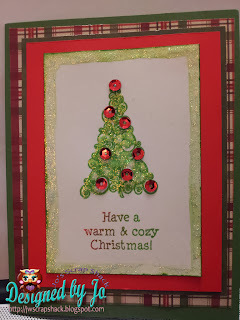 I sure hope you stop by the Cardz TV Blog and see what my other design team sisters have created for this challenge. There are tons of inspirational projects up and don't forget to play along with us and link up for your chance to win a set of Mary's awesome Cardz TV Stamps! If you don't want to wait to see if you win and you want to purchase this set or any other set, you can go Here and get the stamps you want! Your tree looks a pretty Jo! I love the sequins on it and the glitter. 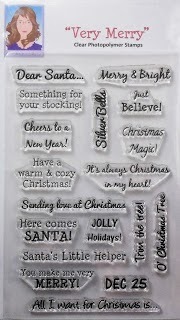 Love the papers you have used on this card as well. The sentiment in the different colors looks amazing!! Praying that you are safe and warm in that ice storm my friend. Hugs! A beautiful card!! Love the sequins !! This is so pretty !! The tree is perfect , as are the lovely colors ! !